MALM Bed Frame, Chest of 2 Drawers, Chest of 6 Drawers in 5 colours to match the 'IKEA Lack End Table'. 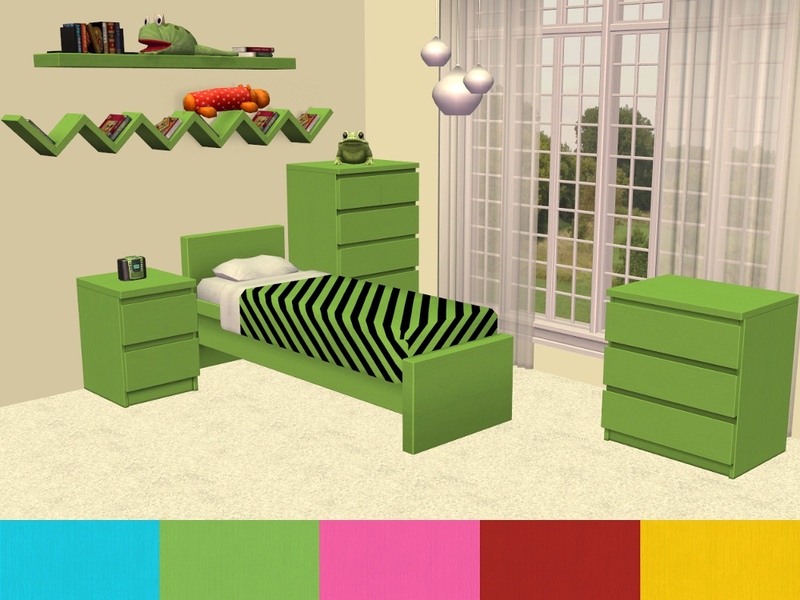 Matching bedding is not included but can be found with the IKEA - HEMNES Recolours. 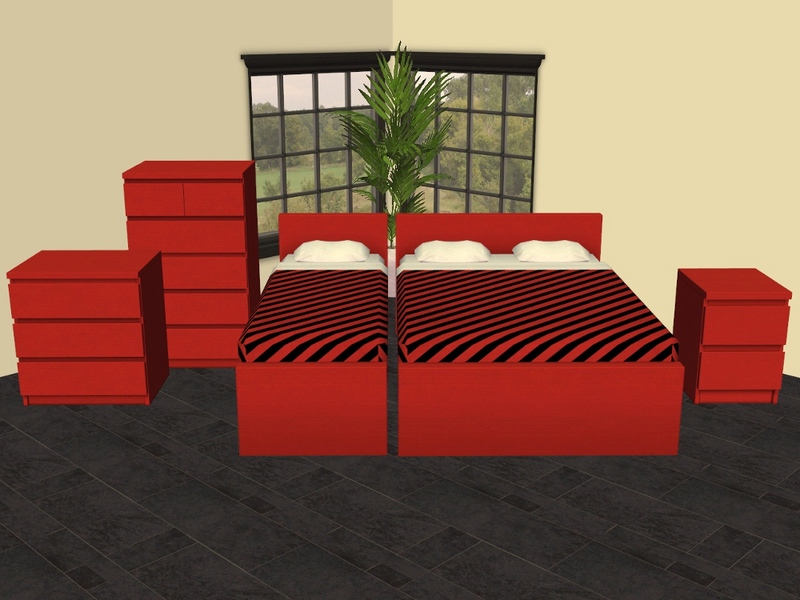 The double bed recolours the single bed and the chest of 6 drawers recolours the chest of 3 drawers as well. 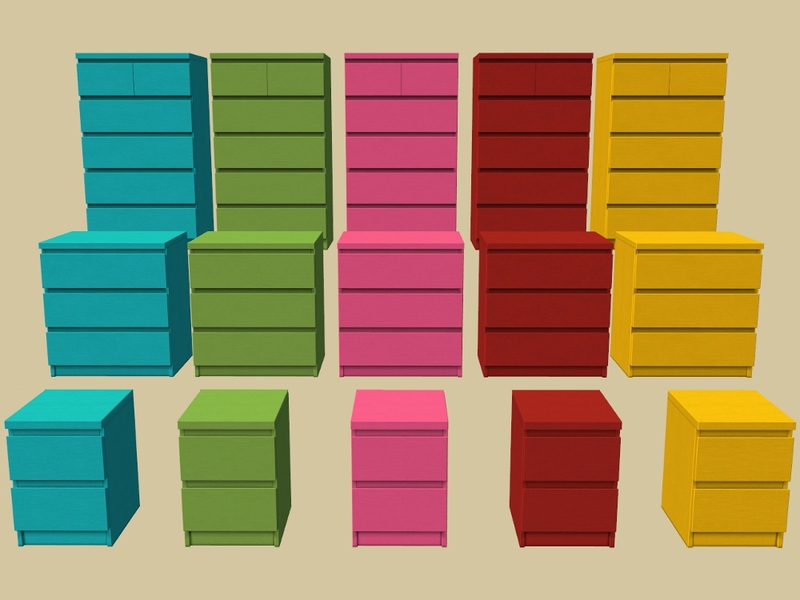 Don't forget to check out HugeLunatic's IKEA Extras HERE. MALM Single Bed - Found: Buy Mode > Comfort > Beds. Price: §360. MALM Double Bed - Found: Buy Mode > Comfort > Beds. Price: §580. MALM Chest of 3 Drawers - Found: Buy Mode > Miscellaneous > Dressers. Price: §120. MALM Chest of 6 Drawers - Found: Buy Mode > Miscellaneous > Dressers. Price: §190. Items used in my screenshots Pocci's DewDrop lamp Recolours by Mustluvcatz, Contempo Curtain by HugeLunatic, Melaka Plants by Moune, Craftsman Windows Expansion Set by tbudget & Decorative Frog by me.